As you can see, the criterion of equal signal (same amount of light per sensor area unit) at the same camera ISO setting (I took ISO 200 as an example) was met for the E-M5 and the G3 within an error margin of 1/8 EV. Given that such is the case, what is wrong with comparing the sample images at the same camera ISO setting? I am trying to follow, but the inconsistencies are starting to pile up In your link above it appears that you have confirmed DxO's relative saturation ISOs within 1/8th of a stop. Please read on for the answer to your question. It follows logically from the above, that if we compare the studio scene samples with the E-M5 set to ISO 3200 and the G3 to ISO 1600, as you propose, the G3 has received nearly twice the signal of the E-M5. So that comparison certainly does not meet your "same signal" requirement. Given that such is the case, what would be the reason to prefer it? In the previous paragaph you have confirmed the relative saturation ISOs, but that does not mean that you can use mean raw values directly to estimate the signal (alias exposure, alias the number of photons that hit the sensors). To do that you need good ol' SNR, around a mean of such a level that the vast majority of the N is shot noise. At ISO 3200 and 1600 respectively for our two little cameras that means at around 25-50% of full scale. We find just such a compliant little area in DPR's RAW captures under the letter A of the Kodak Gray Scale. We find that the EM5 at in-camera ISO 3200 has an SNR of 19.39 and the G3 at ISO 1600 has an SNR of 21.04. Squaring these values will give us the number of electrons output by each sensor. That is 376 and 443. Taking into consideration the G3's 11% lower Absolute Quantum Efficiency we can calculate that for the two captures in question the G3 received 0.41 stops more photons,/exposure/signal than the EM5. So in DPR's test, the one I referred to with the images earlier, the G3 at in-camera ISO 1600 received 0.41 stops more light than the EM5 at ISO 3200, not twice the signal or 1 stop as you suggest. This is fully explained by its 0.32 stop slower shutter speed (1/640 vs 1/800 and possible inaccuracies in the system), as mentioned in my post with the pictures. Since the lens appears to be the same, both cameras were illuminated by the exact same light, within +0.1 of a dB, good job DPR. All this to say that when these two captures were taken the cameras were receiving virtually the same light, meeting the "same signal, exposure, number of incident photons requirement", within the allowed 1/3 of a stop difference fully accounted for by the different shutter speeds. So both cameras, the EM5 at ISO3200 and the G3 at ISO1600, were illuminated by the same light, were subject to the same exposure, and would reach saturation at the same absolute luminous exposure, with the usual 1/3 of a stop proviso. A very good match indeed, and imho the most useful of the ones available for the G3 to compare SNR performance with the EM5 at ISO 3200. Well, the G3 would win in such a comparison, would that be more fair/useful? (according to DxO the E-M5 has app. 1 dB better SNR 18% and 0.5 Ev better DR at high ISOs). 24 Anyone regretting purchasing g9? 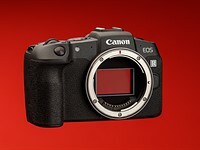 17 Death of Olympus AND Canon now? 6 CPL filter for Olympus 12-100 ? 2 Turn off OIS in Olympus OMD-EM1 Mark 2 when Should I turn off OIS in Olympus using Pany-Leica Zoom?